It’s been a fleeting week for me. I don’t just mean in the way that time spent on Tenerife has a habit of running away like water down a drain, I mean because I’ve been involved in things that fleet. 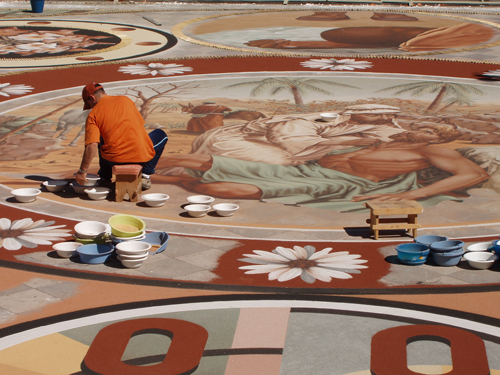 Firstly, we’ve been working on a feature about the flower carpets of La Orotava. On the feast of Corpus Christi, which falls in May this year, the residents of the beautiful Renaissance town of La Orotava decorate their streets in the most incredible detailed carpets fashioned entirely in flower petals and seeds. At the crack of sunlight on Corpus Christi, materials are gathered, outlines are drawn, frames are placed and the intensive work can begin. None of the petals are cut until the day to ensure maximum freshness and so the first job is for the women to painstakingly snip thousands of petals from flowering branches into buckets which slowly fill with crimson, cornflower blue, primrose, white, lavender and pink. On hands and knees, whole generations of families meticulously place the petals row upon row until the image begins to form. With every passing hour the ranks of bystanders swell and everyone files slowly down the streets watching each illustration take more form with every circuit of the route. By late afternoon the carpets are complete. 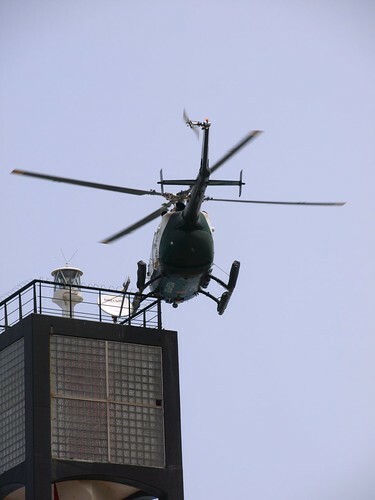 Cameras flash and TV crews film to capture the beauty of the artistry. In a few short hours it will all be gone and only digital images will remain as the Corpus Christi procession walks over the carpets, scattering petals to the breeze and the street cleaners. Then today , I went to the butterfly farm of Mariposario del Drago in Icod de los Vinos where, in the beautiful setting of a tropical garden I witnessed eggs turn to caterpillars, then to chrysalids and finally to butterflies as they split their cocoons and unfurled their beautiful wings. 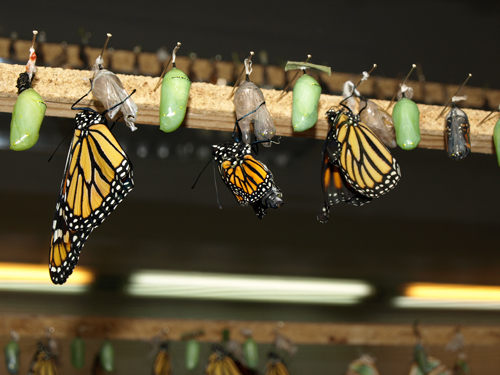 After such a complex metamorphosis, the butterflies have only a short time to live, their entire life cycle lasting on average between 1 and 3 weeks. Resting quietly on the bark of a tree was a giant night butterfly (as moths are apparently known), Attacus Atlas, the largest butterfly in the world. It remains in its cocoon for between 7 months and a year and then emerges, to live only for 5 or 6 days. Beauty and transience, I found myself musing on this subject on my way home and just as I was sure I was about to reach a profound conclusion on the fleeting nature of life, I was pulled over by the Guardia Civil and slapped with a speeding ticket and a fine… bloody perfect.